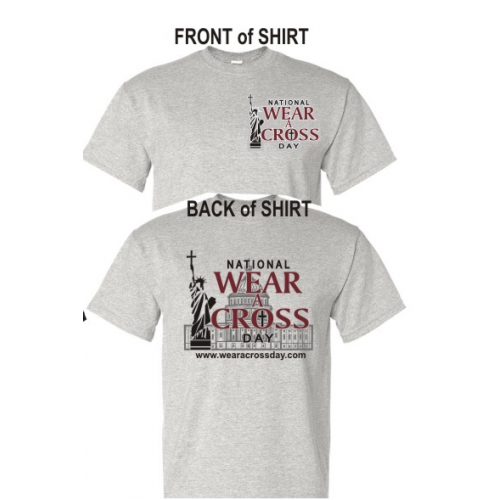 National Wear a Cross Day 2017 is July 19! 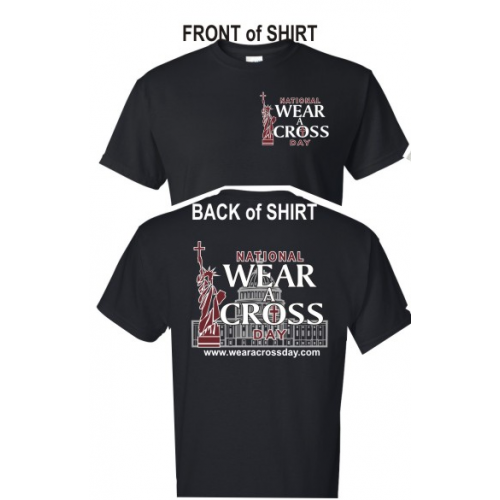 Get your T-shirt with the official logo in either black with white and light maroon lettering and artwork, or ash grey with black and light maroon lettering and artwork. Choose "pick up at store" if you prefer to stop by our shop at 711 Maine St. and avoid shipping charges.